Running concurrently with the Christian Dior: Designer of Dreams exhibition at the V&A, The Franklin is serving up a special menu inspired by key elements of the French couturier's life. The special fashion-themed menu features an array of decadent savouries and luxurious treats created by Michelin-starred chef Alfredo Russo. 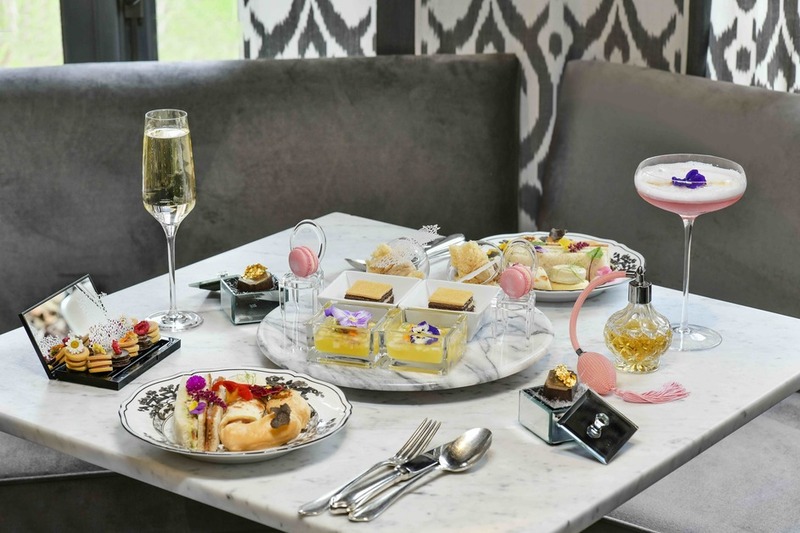 Sweet options include peanut sponge with chocolate cream and vaporized Calvados in reference to the iconic J'Adore scent; lemon pink macaron as a nod to Dior's pastel-coloured childhood home; and a selection of raspberry petit fours as a homage to the designer's eponymous makeup line. Savouries, meanwhile, include cheese and truffle éclair, mushroom flan, and ham and cheese butter bread. The special Mitzah cocktail has also been created for the occasion. What are the best dining options near Christian Dior: Designer of Dreams Menu London? Christian Dior: Designer of Dreams Menu gyms, sporting activities, health & beauty and fitness. The best pubs near London Christian Dior: Designer of Dreams Menu. Christian Dior: Designer of Dreams Menu clubs, bars, cabaret nights, casinos and interesting nightlife. Where to have your meeting, conference, exhibition, private dining or training course near Christian Dior: Designer of Dreams Menu. From cheap budget accommodation to luxury 5 star hotels see our special offers for The Franklin Hotel hotels, including Cheval Knightsbridge Apartments from 55% off.